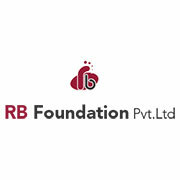 If home is where the heart is, then RB Foundation Private Limited is the obvious choice. We started off in the field of Hardware in 1979. Following the success of our initial venture, In 1990 we as a team decided to show our strengths in making vast developments in the field of Real estate business. We have promoted and sold more than 10 layouts and 500 plots having being successful with 100 % customer satisfactory service, we established ourselves as " RB Foundation" on 2010. Having completed 15 projects which includes 220 happy homes with 100% happy customers, our goal in the near future is to provide 1000 happy homes within the next 4 years. Our organization is the culmination of selective and well-trained manpower, planning & professionalism. Investors are convinced about our integrity and dedication in terms of the commitment we offer in the completion of projects. RB Foundations Private Limited is in the process to augment its development with bigger prestigious projects to make a mark not just in Chennai but nationwide.